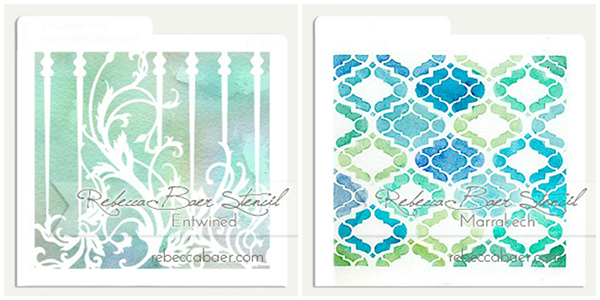 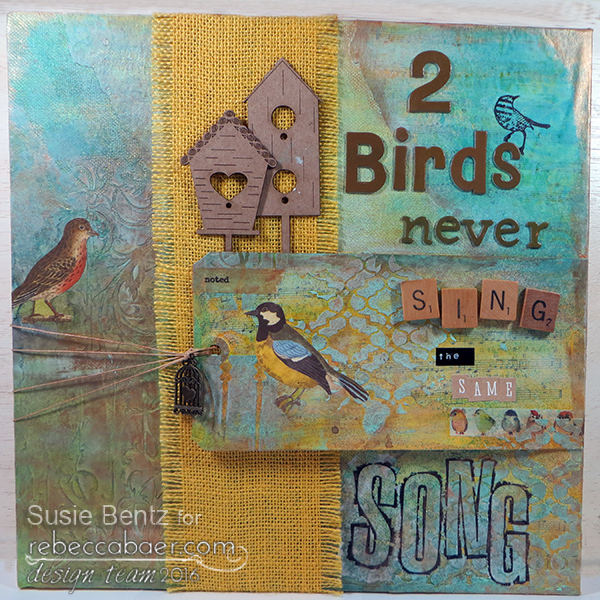 Today I would like to share another mixed media canvas I created while playing with two different Collage Style Stencils from Rebecca Baer Designs. 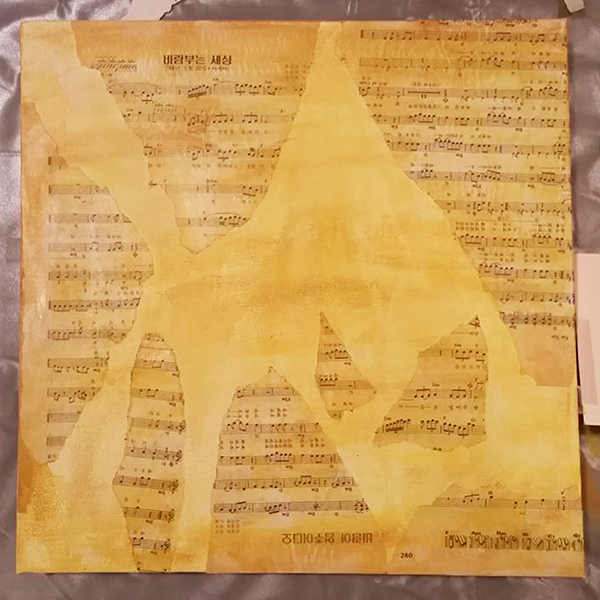 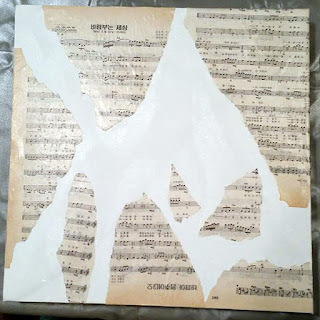 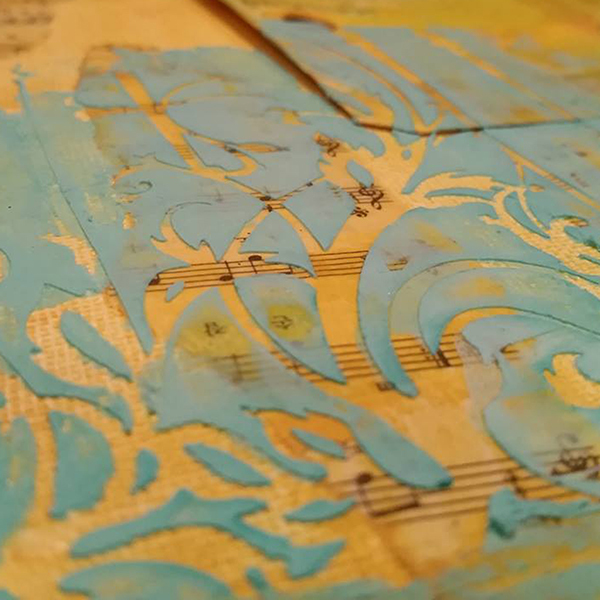 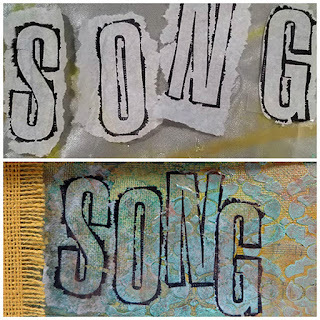 I started by using Mod Podge Matte to randomly apply torn music pages to a 12x12 canvas. 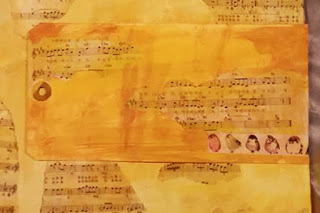 I dry-brushed on top of that using a mix of DecoArt Hansa Yellow and Raw Sienna acrylic paints. Although the colors are strong, the light application allowed the background music sheets to show through. 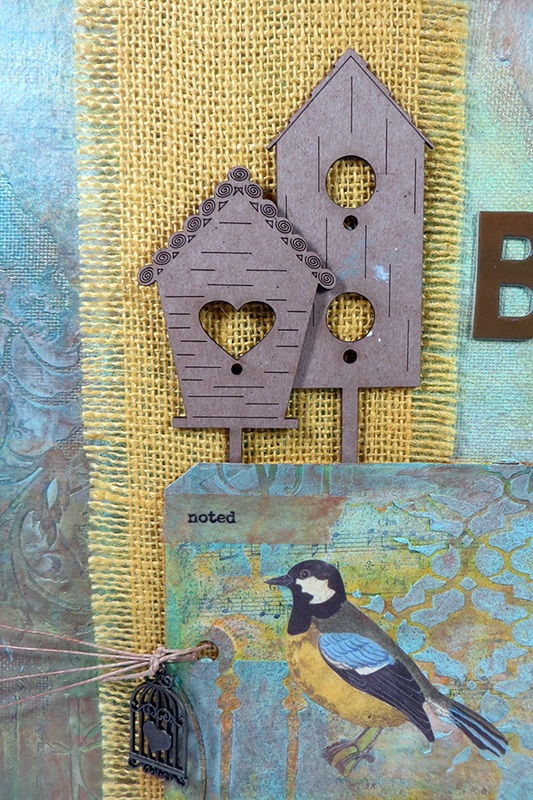 I added a tag that had received the same treatment, attaching it along the right edge with adhesive Zots and a strip of bird themed washi tape. I mixed together Whipped Spackle and Teal acrylic glaze, and laid down a light application through the small sized Entwined Stencil. You can see here that I also layered the texture on top of the tag. 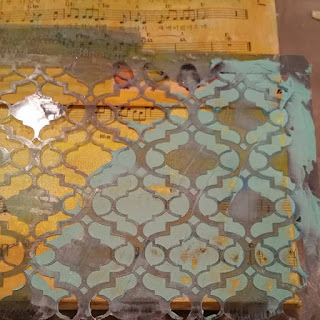 I also added a light aplication of the texture paste through the small sized Marrakech stencil. 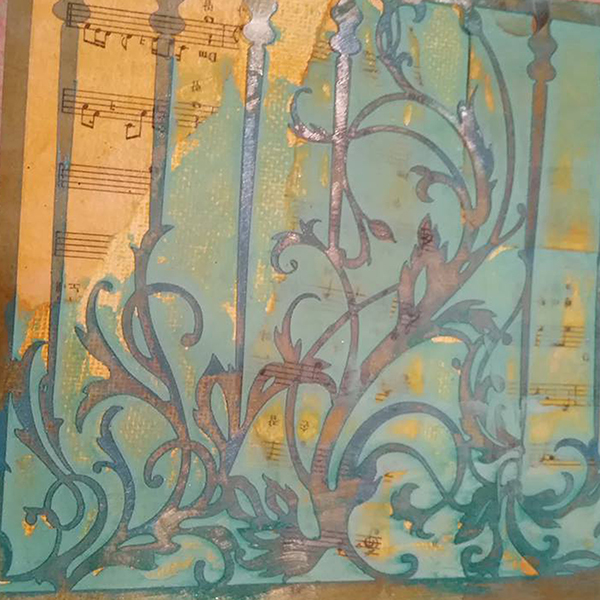 With the stenciling complete I began to add more layers. I added the band of burlap, twine, a charm and a pair of these wonderful chipboard birdhouses from Want2Scrap. 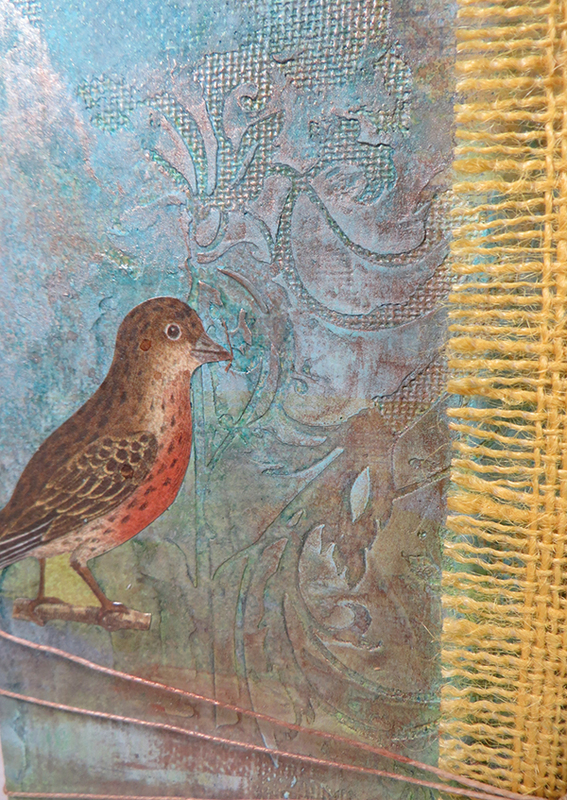 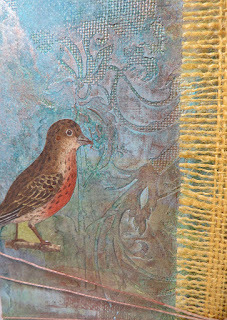 I again pulled out the Mod Podge using it this time to add a couple of birds, on the tag and on the canvas. 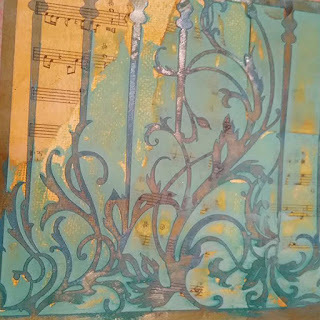 To really highlight the raised texture I created with the stencils, I applied metallic gold paint with my fingers on top of the designs and along the edge of the canvas. When I started to play with this canvas the only thing I had in my mind was the quote, "Two birds never sing the same song." 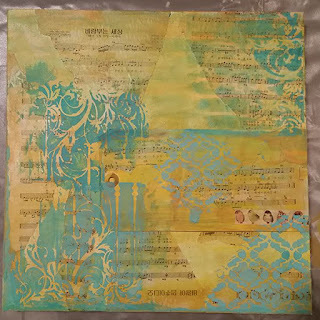 I love working with mixed media because with the right tools - beautiful stencils, paints and sprays - I can create pieces that express my feelings and make my soul happy!